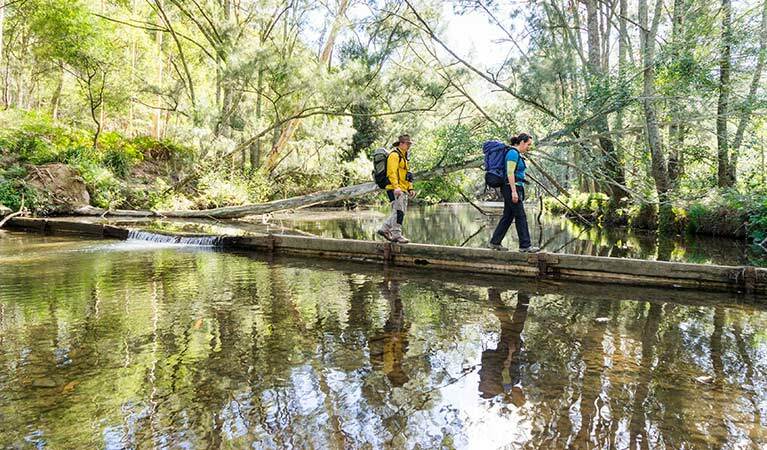 Kedumba River Crossing campground is a walk-in campground in a remote part of Blue Mountains National Park. 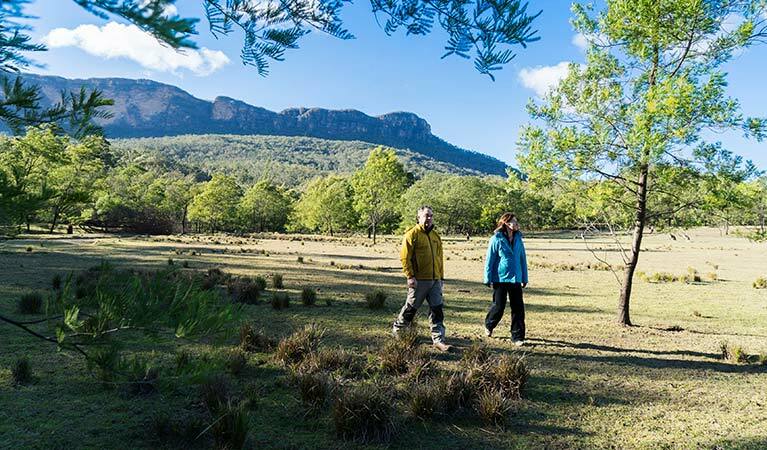 Set in an open, grassy area with views of Mount Solitary, it’s a peaceful place to stay on an overnight bushwalk in the Jamison Valley. Bookings are not available at this campground. For more information please contact Blue Mountains Heritage Centre (Blackheath). 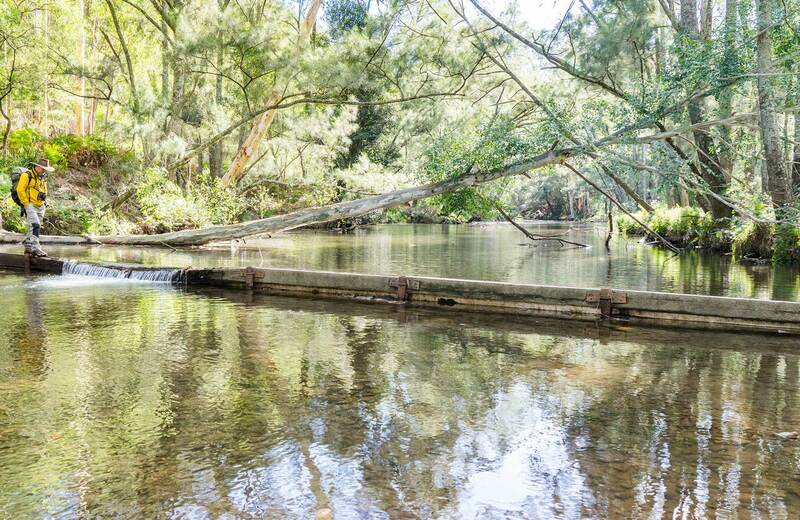 There are no marked sites at Kedumba River Crossing campground. This is a remote campground, so you’ll need to carry in your food, water and tent for your duration in the valley, and take all rubbish out. Fill in the free trip intention form and hire a PLB before setting out. 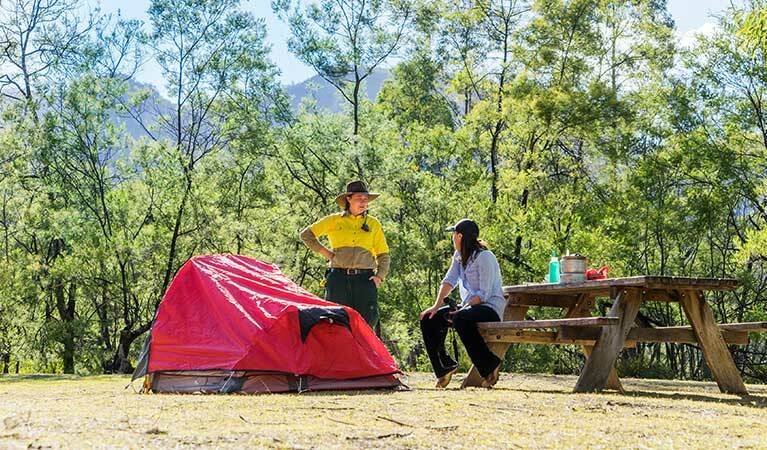 Situated in a wide grassy area next to the Kedumba River, this walk-in campground is ideal for self-sufficient campers. 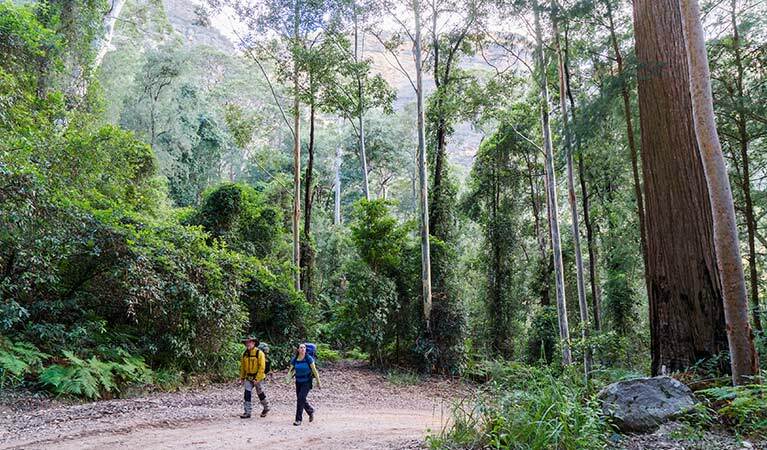 Once part of the pioneering Maxwell Farm, Kedumba River Crossing campground lies in the heart of the Greater Blue Mountains World Heritage Area. 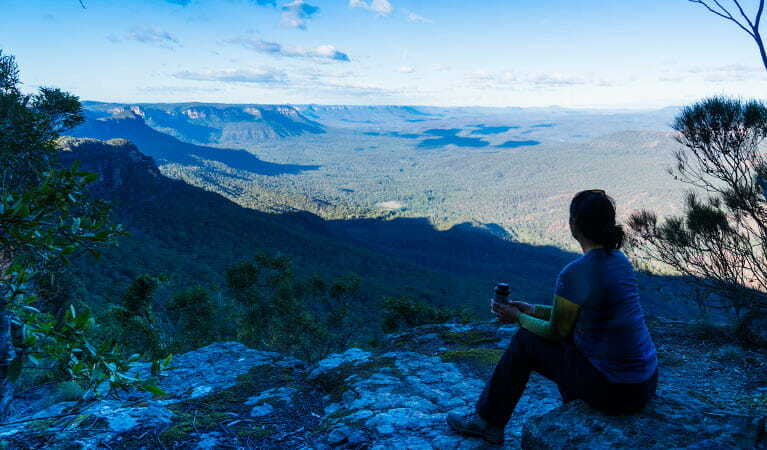 From Katoomba, the campground is a 15.5km walk along the multi-day Mount Solitary walking track. 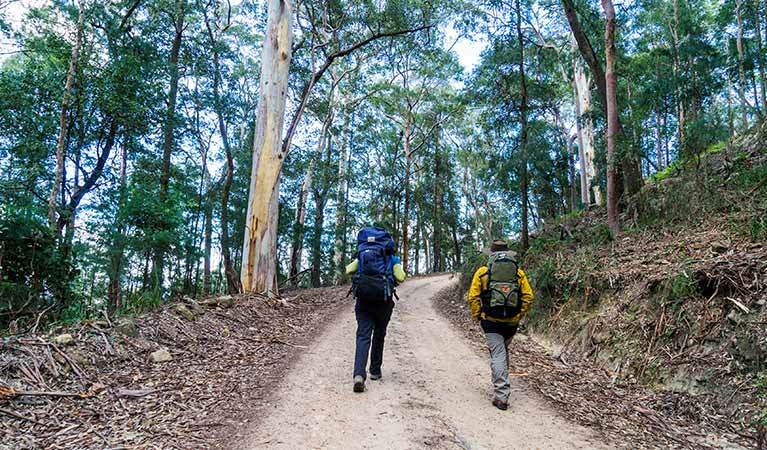 You can also reach the campground via a 9km walk down Kedumba Pass, along Kedumba Valley fire trail, near Wentworth Falls. 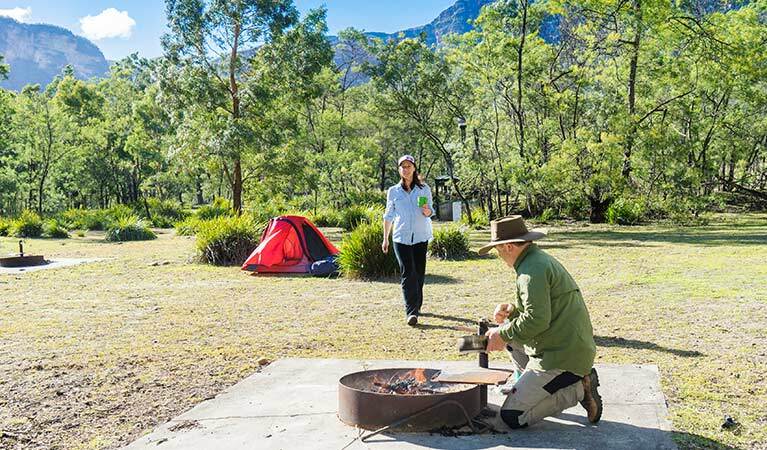 Intrepid campers will find plenty of flat campsites to choose from, as well as toilets, picnic tables, and fire rings for a barbecue and bush tea. 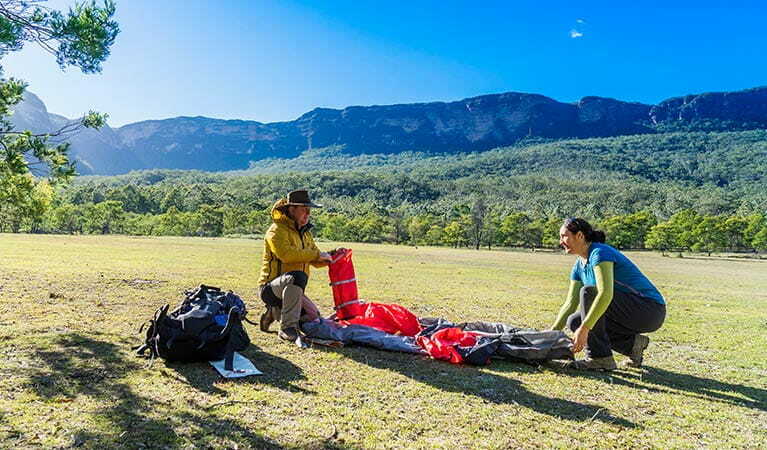 Once you’ve set up camp for the night, enjoy the peaceful surrounds, including breathtaking views of Mount Solitary, the Katoomba escarpment and Kings Tableland. At sunset, the sandstone walls glow gold, and on a clear night the Milky Way shines bright. 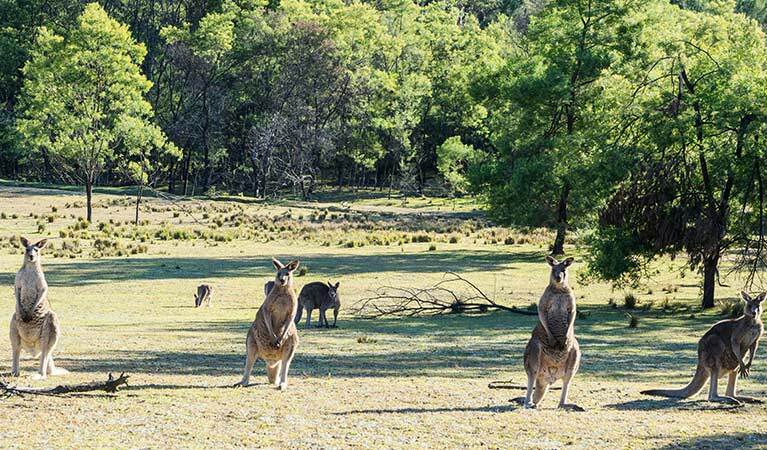 Be sure to check out heritage-listed Maxwell’s Hut, the original Maxwell family homestead, and keep an eye out for red-necked wallabies and wombats. At dawn and dusk you might see platypus in the river, near the majestic stand of rare Camden white gums.